It is true! Filipino food is the fastest-growing foreign cuisine trend in America. 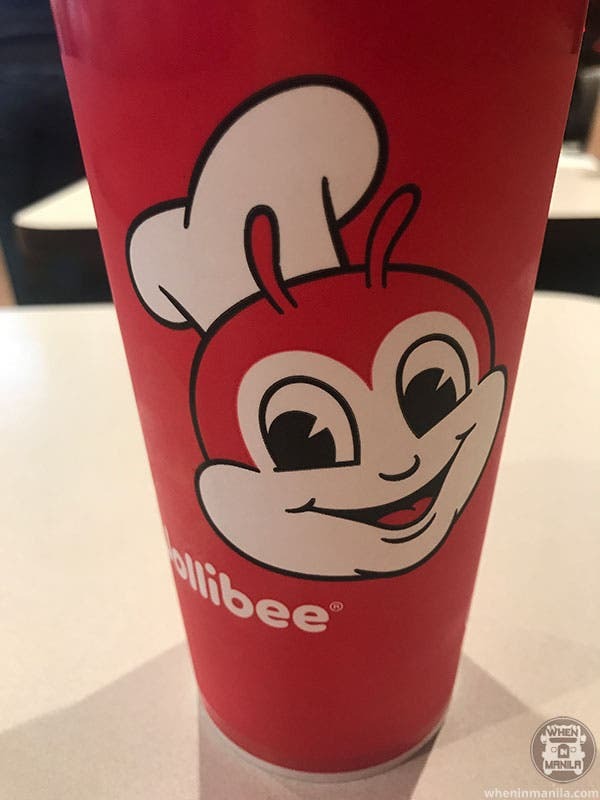 In fact, there are already 35 Jollibees in the States. I got to visit a branch in Woodside, New York. The names of the food are the biggest differences. The names of the dishes will make you chuckle. 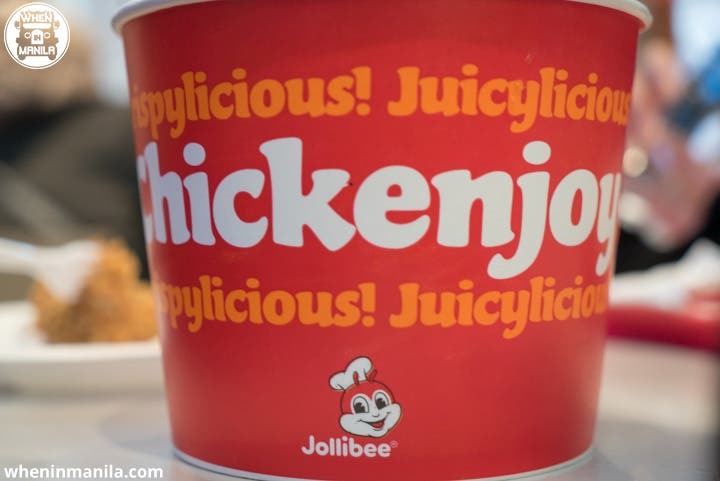 While the terms “Chickenjoy” and “Jolly Spaghetti” sound perfectly delicious in English, Americans (not Fil-Ams) have no idea how to say “palabok”. So in the US, “palabok” is interestingly called “Fiesta Noodles”. I understand that this is just an attempt to make the traditional dish sound more appealing to unassuming American ears. 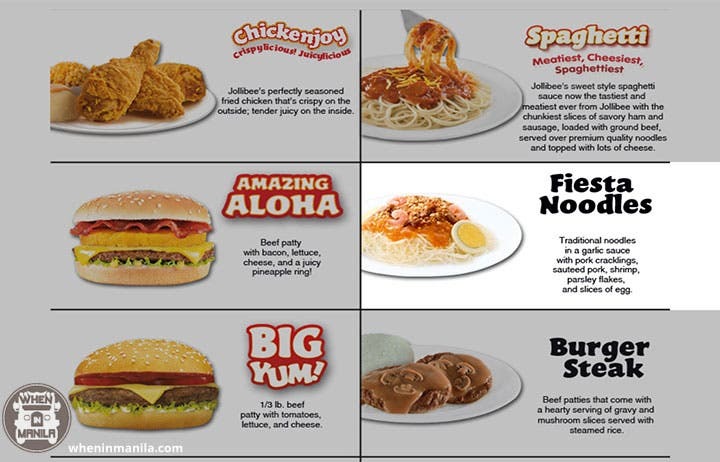 The problem I think, though, is that the name “fiesta noodles” does not describe the flavor…so why not just call it “palabok”? The Tagalog name is quite catchy, after all! 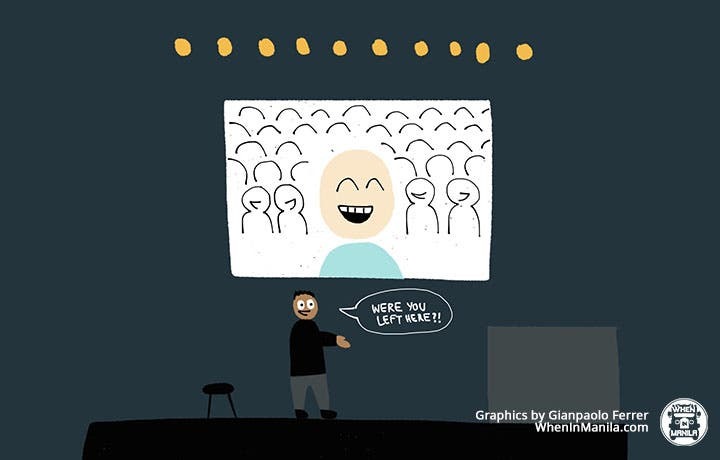 The most important factor? The Fiesta Noodles taste delicious and surpassed my expectation of fast food quality. 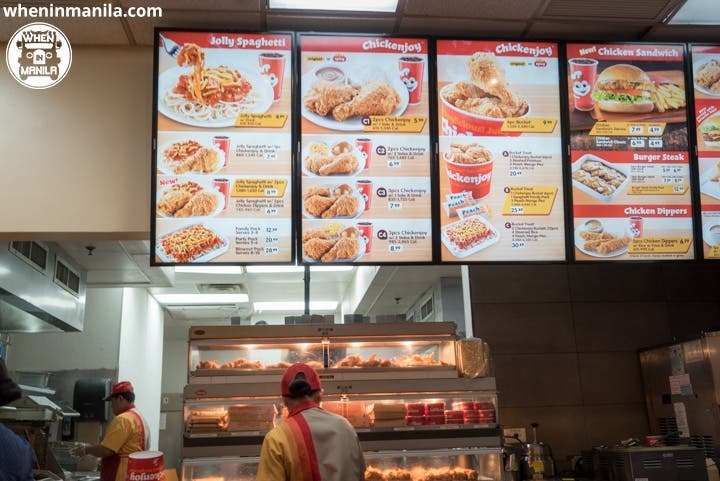 The Chickenjoy is an amazing complement to the creamy, shrimp-garlic flavor of the pancit palabok. Breakfast is a different story: the plain and uninviting terms Beef Tenders, Corned Beef, Sweet Pork and Pork Sausage have replaced our sacred SILOGs. They are still accompanied by an egg, a slice of tomato, and a generous scoop of garlic rice as tradition; but what is a proper silog without the -silog in the title? The breakfast menu also feels incomplete due to the lack of real longganisa. 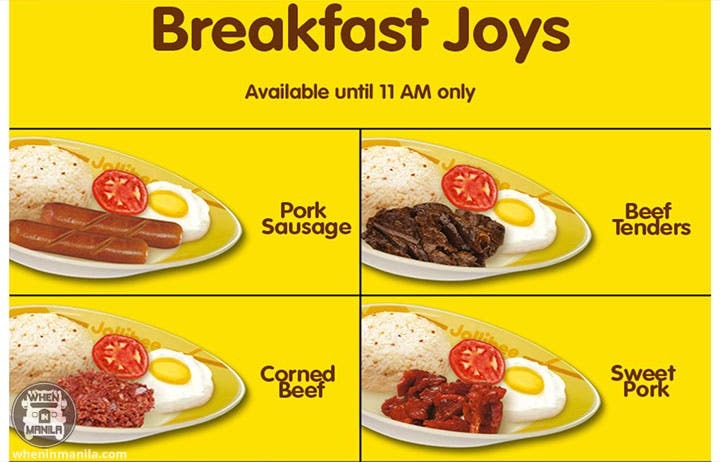 How can such a recognizable Pinoy flavor and breakfast specialty be left off the menu? There is no excuse because the sweet/spicy sausage is widely available in the States at any Film-Am grocery or Asian market. 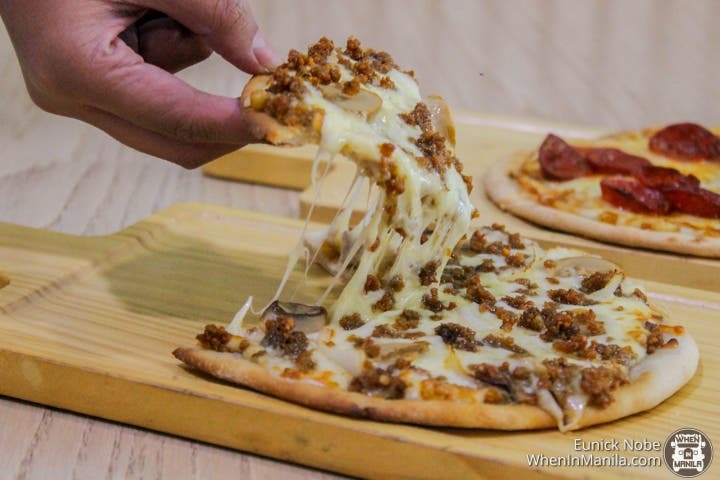 Americans already love sausage from all over the world, so it would be one of the easiest Filipino foods to introduce. Jollibee US should consider adding longganisa to the menu ASAP! No need to panic! 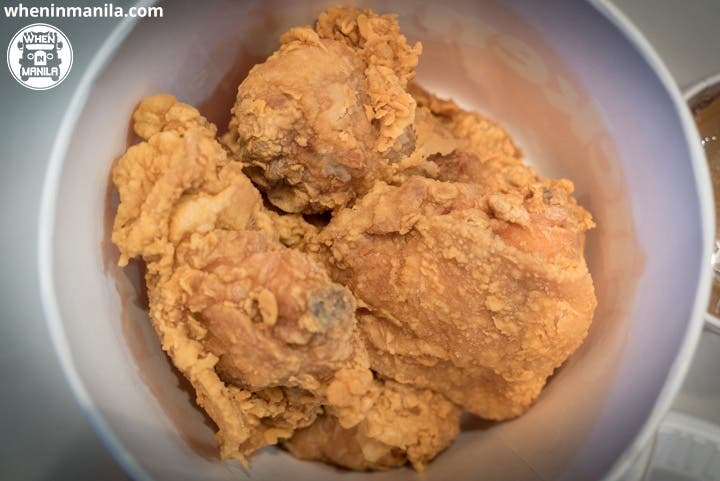 White steamed rice is readily available in convenient scoops at Jollibee USA. 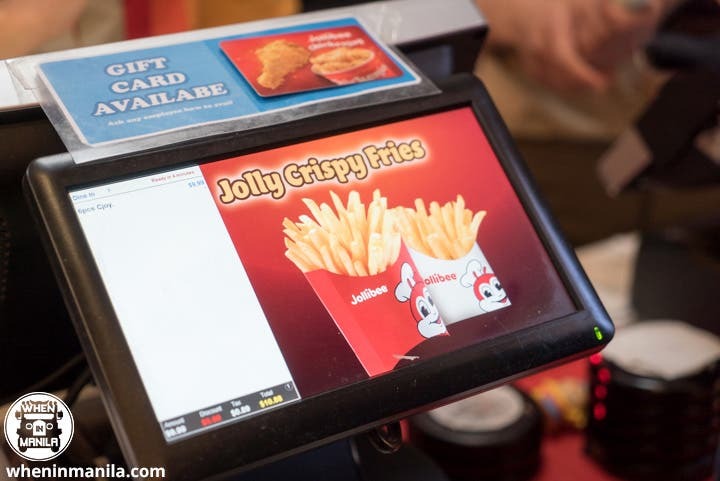 Fries seem to be a very popular option there, too; but there really is NOTHING Filipino about the fries at Jollibee USA. Maybe they should try a dusting of adobo seasoning, or a salted egg yolk batter for the crispy fries? 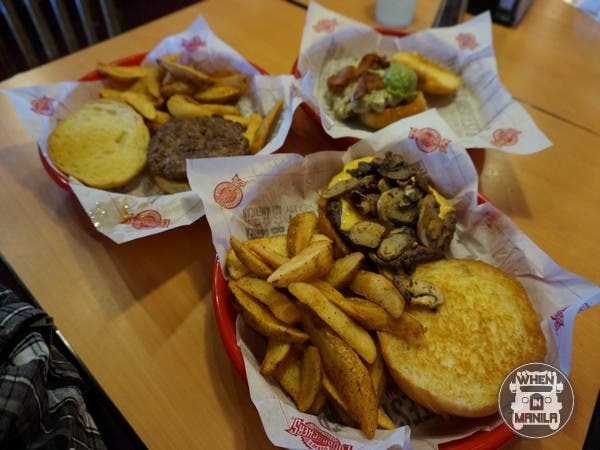 The good news is that if you order a burger steak with mushrooms, you can choose between a scoop of fresh rice or fries to mix into the gravy. Both options are good. Unli soft drinks. Sugar all you can. As an American, I am used to seeing free refills for soft drinks in every fast food resto. But as a Filipino, I also see an opportunity to drink as much as I can…then fill up my cup on the way out – walang yelo-yelo! But we all know that this much sugar is just plain bad for your health. 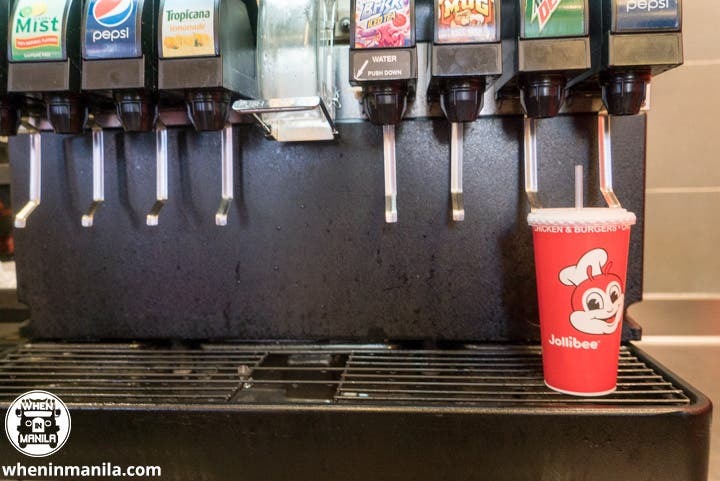 Jollibee USA offers unlimited free refills on all soft drinks because it is expected in the States. I don’t think this would work at a Metro Manila location. You see, politeness and courtesy are somewhat rare to receive in US fast food restaurants – at least to the level that a Filipino would expect. When you DO receive politeness and courtesy in fast food, it makes a huge difference to an American. 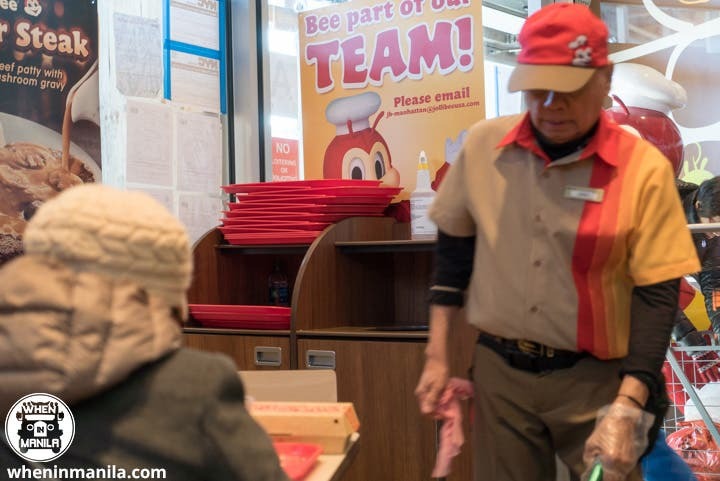 There are also those authentic experiences that cannot be faked: from a pleasantly smiling young man or woman with a perfect neutral Filipino-English accent accepting your order, to the elderly workers who could easily be imagined as anyone’s lolo or lola, pridefully cleaning trays and greeting each person with a “salamat po” as they make their way towards the exit. It can be a heartwarming experience for a Pinoy that does not have the pleasure of hearing Tagalog everyday. Food is a funny thing; we grow so attached to our organization of flavors and textures that even a small change in a familiar recipe can set off alarms in our taste buds. 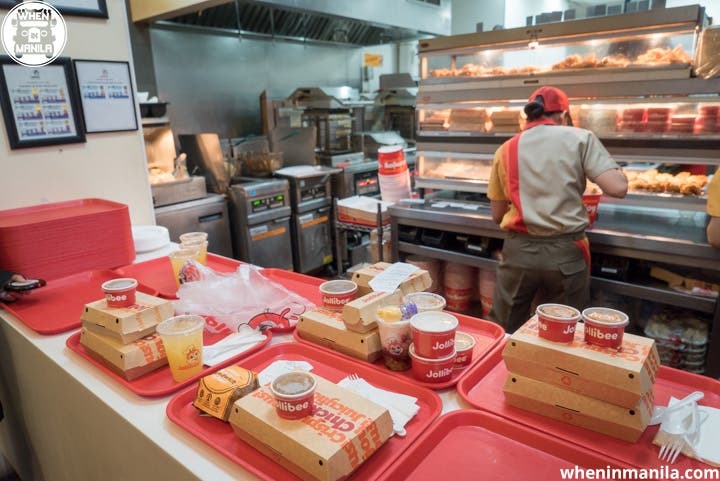 Jollibee USA looks, feels, and tastes almost exactly like any Jollibee in the Philippines. Any Filipino in the world would feel right at home in this location. 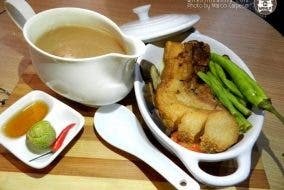 Cheers to Filipino food growing in popularity across the US! 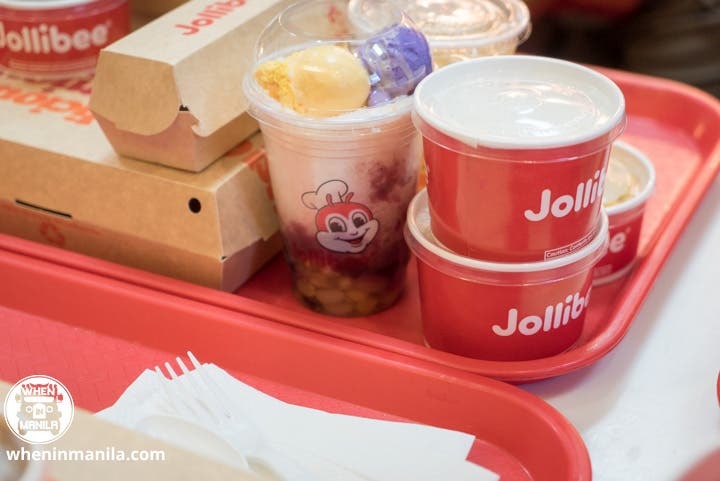 Have you been to a Jollibee abroad aside from the US? What are the differences you noticed?